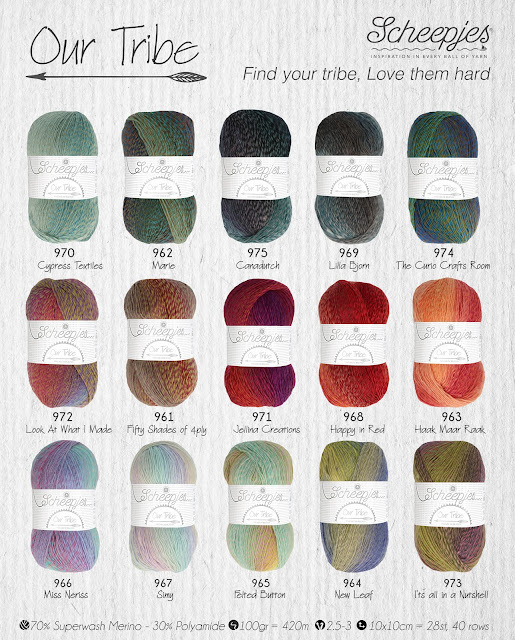 Since the release of Scheepjes Our Tribe yarn* with my very own colorway, I have been working away on two designs. One of them I gave you a sneak peek of here. It uses all 15 colors of Our Tribe and should be a color riot. Expect the pattern this spring. But I felt a strong pull to use my own colorway (Felted Button #965) to design something that was very ME. That pull resulted in a wearable, too, which is a bit odd since that's not typically the direction I go when designing. But the design is very ME--colorful and a little whimsical in style. 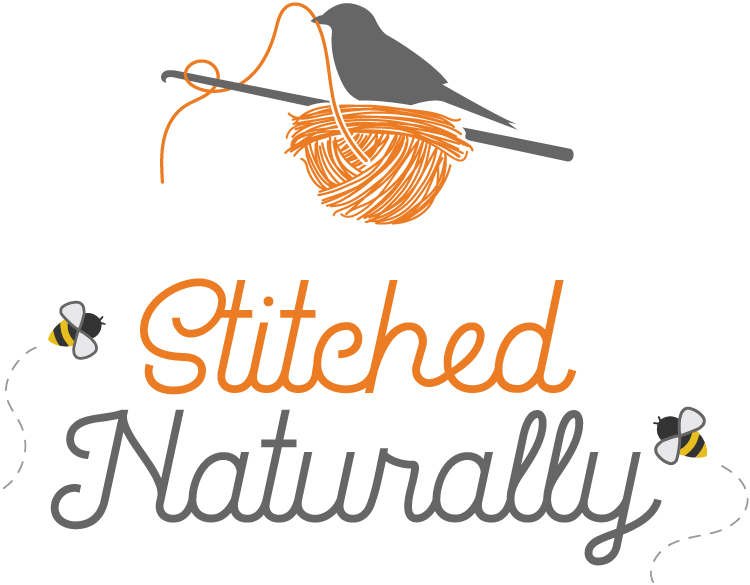 It involves some simple slip stitching for the knitted look and hdc (US) which I think might be a favorite stitch of mine. See that bright yellow stripe? in working with two balls of this to complete my project, that yellow stripe only showed up once. One of the interesting things I've noted about this yarn, is you never get the exact same thing twice. For me, the somewhat unpredictable happy "accidents" that occur as it rolls off my hook is the best part! 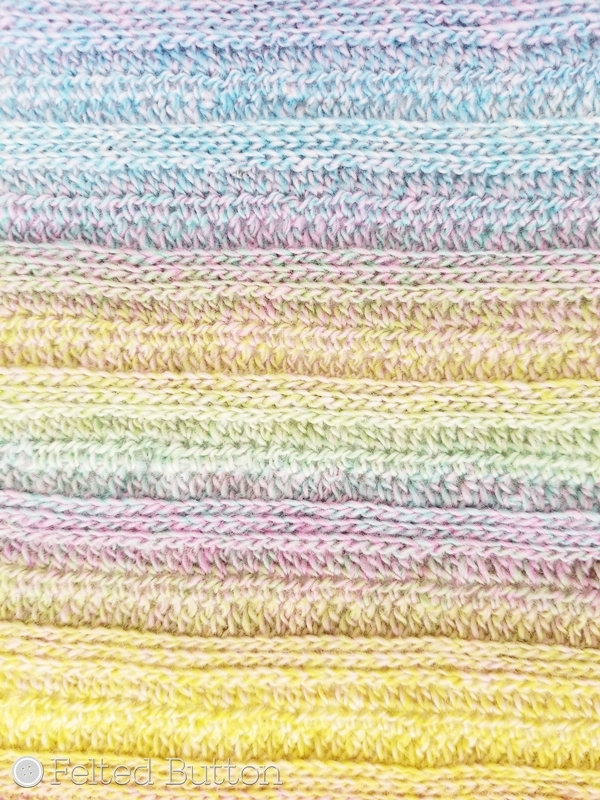 I also decided to add some Scheepjes Sweet Treat* to my design in coordinating colors. 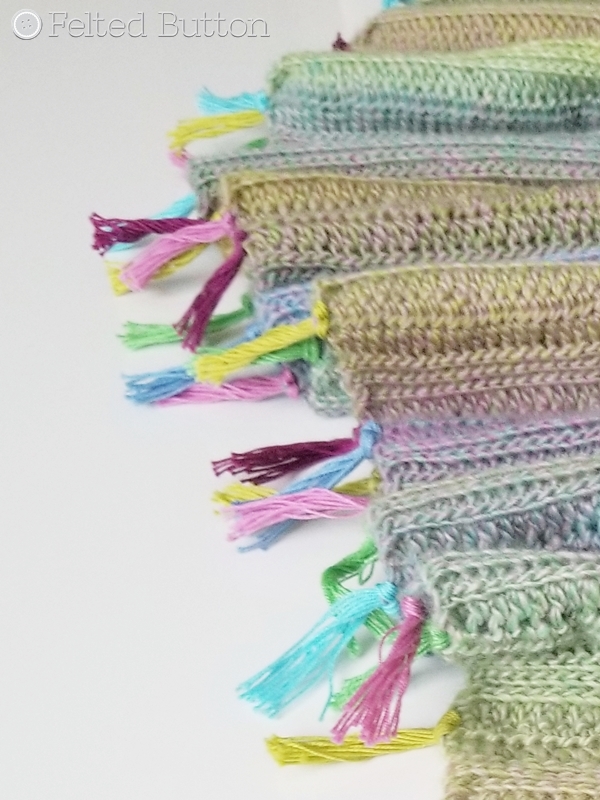 I quickly settled on these five, but then decided that I needed a green so added a sixth color. Guess what I used the Sweet Treat for? 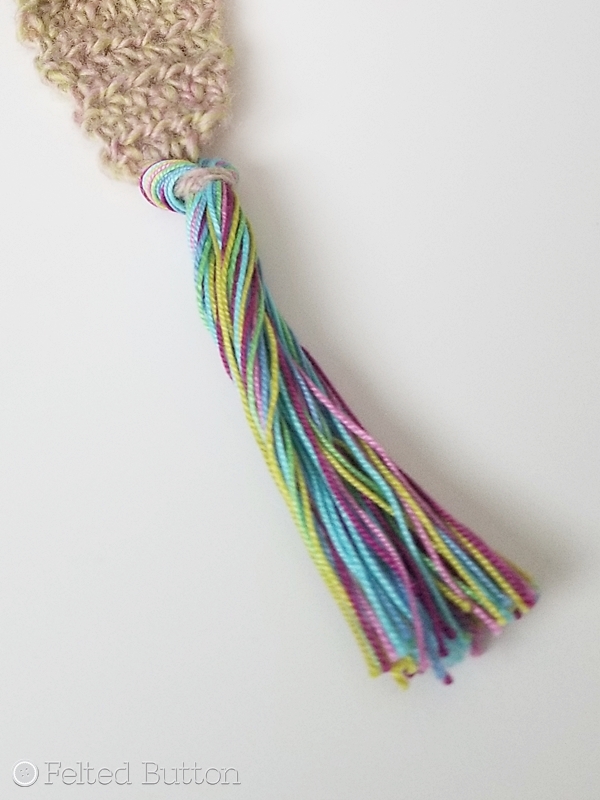 Tassels!! And they make me smile with their whimsy and fun. Of course, you could always leave them off if they are too "over the top" for your style. But for me...just right! 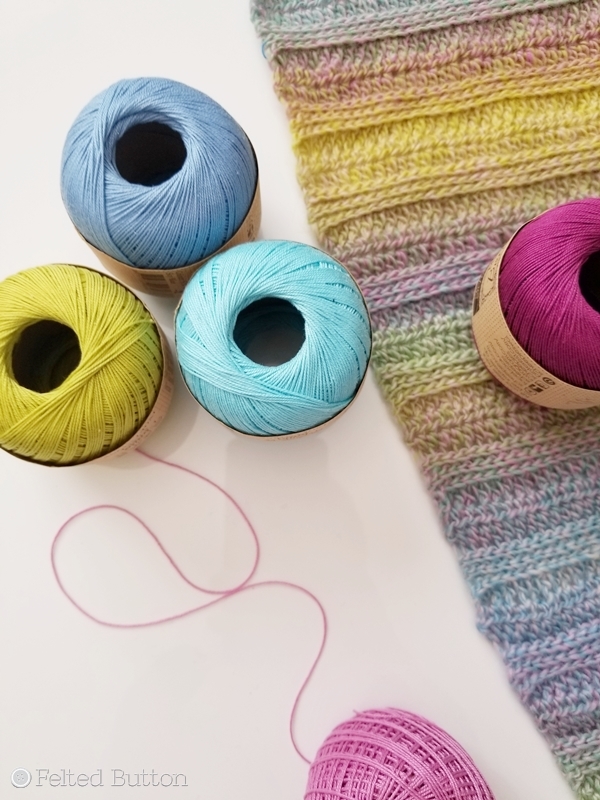 And if you choose a subtler colorway, you could choose a whole different set of Sweet Treat colors to match since there are nearly 90 colors! 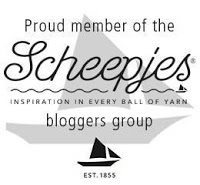 Or pick it up from your local Scheepjes stockists listed here. Here's a wish from me to you--that you are calm, joyful and purposeful, that you are recognizing the goodness of life even if you are struggling. I also wish you lots of crochet time, because we know that it is medicine for the heart and soul!! *This post contains affiliate links which if used by you do not cost you any more but provide me with a small commission that allows me to continue providing free patterns. Thanks!